Global Research has been affected by Google’s “recategorization”. The Threat of War in North Korea, US sponsored terrorists in Syria and Iraq, Genocide in Yemen, US intervention in Venezuela. The World is at a dangerous crossroads. It’s a Global Military Agenda. More than ever, critical and independent analysis is required to inform the broader public which has been has been brainwashed by the mainstream media. 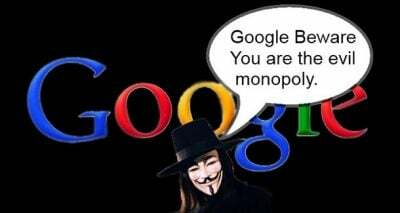 The mainstream media titles which are ranked and displayed by Google are spreading lies and fabrications. How to reverse the tide of war? Our objective from the outset has been “counter-propaganda”: reveal the forbidden truth: the US and its allies are behind the terrorists, they are financing them, Washington is responsible for extensive crimes against humanity, The White House and the Pentagon are beating the drums of nuclear war. And the mainstream media has become an instrument of war propaganda, which is upheld by the online search engines. What are the implications. While the MSM’s “fake news” is upheld, critical articles on North Korea, Syria, Yemen, etc. by the independent and alternative online media are simply not being picked by Google. In other words, we must ensure that truth in media reaches the broader public.